This is the third time the company has won the award, following victories with ArcSystem in 2011 and ArcLamp in 2014. 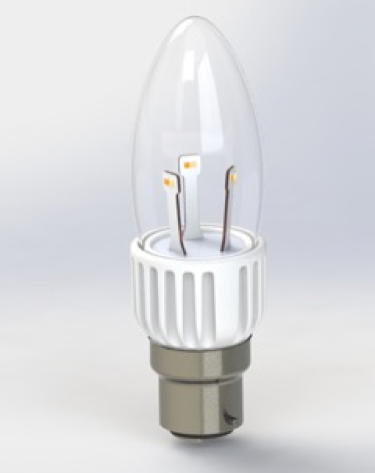 Responding to calls from customers and specifiers to address the loss of red shift that characterises LED lamps, GDS delivered this game-changer. Thanks to ArcSystem FTW, a venue will retain the capacity to dim its houselights to an atmospheric, warm ambience. Seamless dimming AND fade to warm are now possible in one fitting. GDS Managing Director, Matt Lloyd sums up: "The team at GDS has once again risen to meet the needs of a specific challenge and developed a ground-breaking solution. Tungsten lamps don't offer sustainable solutions but once dimmed, the effect they can create is undeniably attractive. Obtaining this look with an LED fitting in a sustainable context is a real achievement. We are very pleased and proud to receive this prestigious PLASA award in recognition of our efforts in developing this technology." As GDS celebrates its twelfth year, the award-winning UK manufacturer has become a truly global company, having established an international sales and distribution network in 32 countries. A multiple award winner with six market-leading brands, GDS continues to innovate at the forefront of the entertainment, architectural, television and corporate markets. From ArcSystem, the original wireless Auditorium LED Lighting System to BluesSystem backstage working lights and from CueSystem cue lights to its Stage Mangers Desk, GDS continues to create innovative, flexible solutions that have found their way from Broadway to the Liverpool Everyman and from The Esplanade Singapore to the Savoy Theatre London.